The Department of Homeland Security Science and Technology Directorate is failing to properly collect, integrate and share information on research and development performance across the agency, according to a government report. The Government Accountability Office released a report on Thursday highlighting the challenges associated with coordination of research and development information that make it difficult for DHS to monitor progress of projects and understand the customer experience. GAO found that the agency stores research project information in various sources, making it hard to identify and track data. One DHS component failed to use a team coordination mechanism to report $176 million in research funding during 2018, according to the report. “Nonparticipation poses a risk to R&D coordination efforts across DHS, including R&D project information not being shared among components,” GAO said. 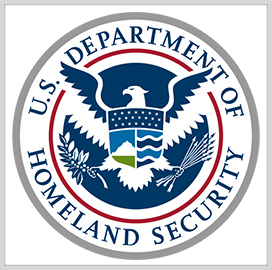 The report recommends that DHS develop a mechanism aligning research project tracking sources, improve collection of feedback from customers and ensure all components participate in the information sharing process. “By developing a mechanism to address these challenges, S&T can further improve its efforts to report and analyze R&D project information and have improved visibility on R&D efforts across DHS,” the report stated.